LAS VEGAS -- Cars are set to be a huge part of this year’s CES. 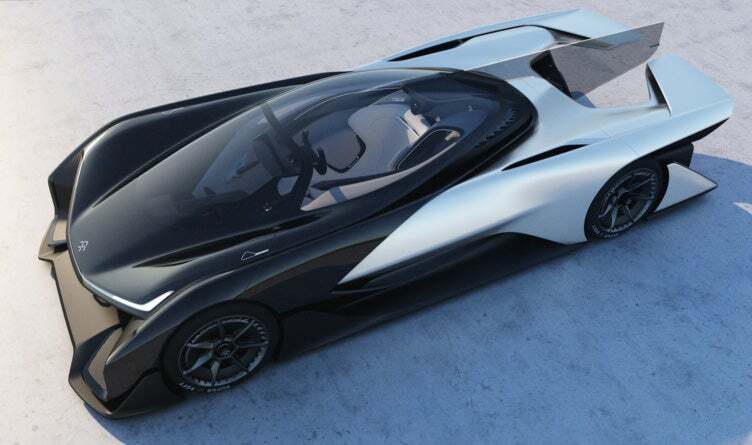 The first of many car-related announcements came Monday evening from Faraday Future. The Los Angeles-based company used CES as the stage to unveil its highly-anticipated electric concept car. Called the FFZERO1, the car isn’t exactly something you’d expect to see cruising next to you during rush hour, sporting a look that’s more suited for a race track than your average commute. The FFZERO1 is designed modularly, so you could potentially see some elements of the vehicle show up in other car design models down the line. That modular design, called Variable Form Architecture, is one of the things that makes Faraday Future’s concept interesting. The company is using the same basic structure for all of its vehicles, then adapting it depending on which model it’s making. Think: interchangeable parts for cars. For instance, it might use one type of battery in one model, and a different in another. Likewise, different models might have different wheelbases or motors. Of course, right now Faraday doesn’t have any models to show off, aside from the FFZERO1. The car’s driver sits at a 45-degree angle while she drives, an angle determined by NASA to be optimal for driving, and the steering wheel has an embedded dock for your smartphone. The driver also has a "Halo Safety System” built into its headrest to support the driver’s neck and head and comes equipped with a helmet. The driver's helmet will feed him water and oxygen, and the instrument panel gathers biometric data about the driver. Faraday also promises various levels of autonomy with the car. So you might potentially be able to do things like summon the car to your location, or sit back and ride rather than steer on your way to work. While the car at CES is still a prototype, Faraday hopes to have its first commercial vehicle available sometime in 2018. The company is backed by Chinese company LeTV and is expected to begin building its first factory near Las Vegas in the coming weeks. Chevrolet, BMW, and Volkswagen are all expected to make electric car announcements in the coming days. Related: Check Out the Car That Just Drove Itself Across the U.S.